An American in Ireland: Like a movie scene - Irish government declares "Let them eat cheese!" Like a movie scene - Irish government declares "Let them eat cheese!" Some headlines write themselves. This morning the Irish government's Agriculture Minister Brendan Smith announced that the government will soon be distributing 58 tons of cheese to poor people. It was only yesterday that Taoiseach (Prime Minister) Brian Cowen told the nation that the budget due December 7 – a date that already lives in infamy – will include massive cuts in government spending and significant new taxes. To say that the cheese announcement from our tone-deaf, out-of-touch government was badly timed is understating things. Every radio station, news web site and especially twitter ran wild with puns and cheese-inspired slights aimed at the government. Of course, poor ol maligned (& slandered) Marie Antoinette didn't have a prayer as "Let Them Eat Cheese" was the cry heard throughout the land. The fact that this is an EU-wide scheme made no difference. The government's reputation is in tatters and a slice of cheddar is not about to change anyone's views. They ceaselessly peddle the story that they're only victims of a storm that started elsewhere, but there's ample evidence that the abominable mismanagement in government and corruption among many of Ireland's wealthy elites were going to be a big problem even if the global financial crisis had not occurred. The government is gathered late at night trying to figure out how to appease the masses after the Taoiseach's pre-budget speech. They're seated in comfortable chairs in a well-appointed conference/meeting/dining room in government buildings. They're enjoying wine and cheese. Suddenly one of the ministers has a eureka moment and stands up with his glass and says, "I know, let's give them free wine." Some murmuring of approval, but the Taoiseach puts his glass down, pauses and says, "No, they drink more than enough already. Let's give them free cheese instead. Smith, you'll make the announcement in the morning. That'll make them feel better; buy us some time too." Of course, this story could be better told in a cartoon using fat cats and scavenging mice. What we don't know is how it will end. 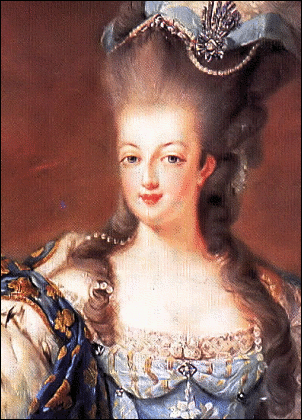 Will it be the uprising and guillotine that did for Marie Antoinette or the desolate landscape so popular in apocalyptic nuclear holocaust movies. The government is betting on the latter. Are QE2 fears driving McIlroy home?